Russian President Vladimir Putin attends a joint press conference with his French counterpart following their talks at the Konstantin Palace in Strelna, outside Saint Petersburg, on May 24, 2018. 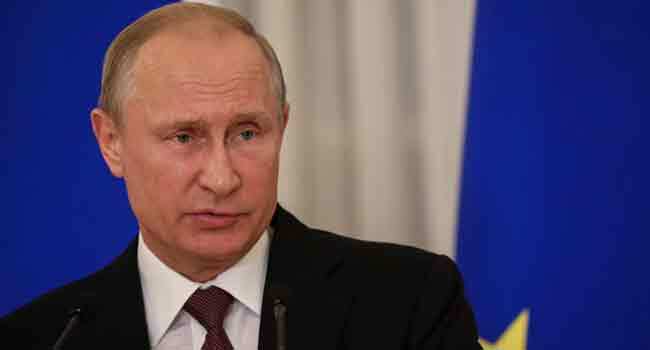 Britain said Thursday that Russian President Vladimir Putin had “ultimate” responsibility for a nerve agent attack on a former Russian double agent in England, as it prepared to brief the UN Security Council. He told BBC radio: “I don’t think anyone can ever say that Mr Putin isn’t in control of his state…. And the GRU is without doubt not rogue. Options include “more sanctions — we are obviously taking it today to the UN to present our case”.